This new trail is partially located on an active sand dune. We will be looking for spring wildflowers that only grow in this environment. 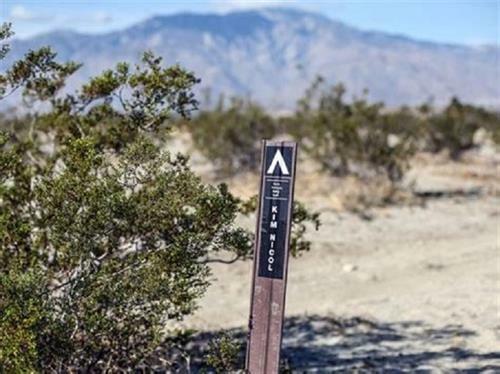 This area is also home to several species listed on the Coachella Valley Endangered and Threatened list. Bring 2 liters of water, snacks, closed-toed shoes, hat, sunscreen and camera. Registration begins at 7:45 AM. Your tax deductible donations are appreciated and encouraged. Contact 760-862-9984, National Monument Visitor Center for more details.